Legal Questions? / Legal Answers! Understanding Your Legal Rights In Maine. Welcome to legalquestionslegalanswers.com! I work for an organization that offers programs that help parents understand their children and more importantly, how to cope with the everyday stress it takes just to be a parent. I walked by a Parenting Group Meeting one night and over heard a Father saying how he has done "everything I can to see my kids, but my ex-wife just won't allow it" A long time ago, I was in that same situation.See About Me That one phrase made me realize how important it was for me to really get to work on my website and get it on the net. 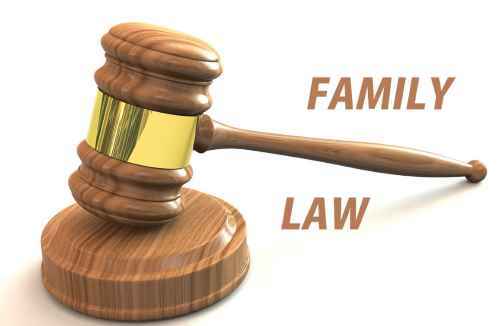 My family and friends have always benefited from the knowledge I have on the legal aspects of child support, dealing with D. H. H. S., legal rights of individuals and filing legal paperwork. I always have taken a keen interest in our legal rights, granted to us by our constitution. Even today I find myself keeping up, as much as possible, with the changes being made to our rights and how they will affect my family and friends. Within the past three years I have also learned about the Legal costs and paperwork involved in the death of a loved one. I have helped with three different scenarios of a family member's death and have learned about the unknown costs and legal issues involved in each one.I hope you all take a minute to read what it really will cost you to be an Executor of a Relative or Friend's Will. This site was really a labor of love. It has taken me years and all this information was either a life lesson learned or a friends legal issue I was requested to look into. Most of you know, I do my homework! However, I would ask you to remember, laws do change from time to time. You can start here, but I would always recommend talking to an experienced Attorney. I'd like to share this website and it's legal information with all that may want it.Your invited to bookmark this website and to share with those you know, who may benefit from this information. The Red Check Links Have Important Information Everyone Should Know. How To Write A Request Asking The Dept. Of Human Services For A Hearing To Discuss Your Back Child Support. ** I once filed for a child support hearing with D.H.S. After we were finished with the hearing I had shown that $4.000.00 of tax returns and garnished wages had not been subtracted from my child support balance. Family Death. Some Real Legal Questions & Answers! Beneficiary Or Executor - The Important Difference Of Each. Class Action Law Suits - Receive A Check For The Price Of A Stamp. Guardianship Of Your Grandchildren? Great News For Them! Bailments - Are You Doing Someone A Favor And "Storing" Their Items? Read This! I Also Will Explain Your Legal Rights And Court Protocol. So You Just Been Pulled Over, Now What? Your Right To Remain Silent. KEEP YOUR MOUTH SHUT! What To Expect If Your Arrested. Filing A Motion To Reduce Bail. Pleading Guilty Or Not Guilty. Applying For A State Provided Attorney. Can the State Prove It's Case Against You? Jail Time Probation Or Fine? The "power" Of The Police - What Can They Really Offer You When Arrested? The "power" Of The District Attorney. What Can They Really Offer You? The "power" Of The Judge. The Most Important Person In The Court Room. So Your On Probation. What Does That Mean To You And Those Around You. Domestic Violence. - This Important Charge Is Important To Understand. Use Of Your Cell Phone While Driving - What You Can And Cannot Do. So who am I that would know all this legal info? Am I an Attorney? No ...I am not. In fact, my own legal experience is based on my desire to Know, Learn. ..and Do! I Have Won Apt Evictions In Court. I Have Won Child Support Hearings. I Have Filed for Continuances In Court. I Have Filed For Guardianship For Myself And Others And Have Won. I Have Used "Discovery "To Get A Lighter Sentence Or Fine For family And Friends. I Have Filed For Parental Rights & Responsibility For Others. I Have Helped To Win A Couple Of Protection From Abuse Cases For Friends. Back in 1976 - 1978 I attended S.M.V.T.I. which is now S.M.T.C. In South Portland, Maine. I enrolled in Law Enforcement Tech as my course of interest. I always wanted to be a Police Officer. Then in 1977, while going to night school with local Police Officers and Fire Department personal, I obtained a job with Zayre's Department Stores. I accepted a position as a Loss Prevention Manager and went on to represent the store in court on Loss Prevention issues such as Cash Office Losses, Bad Check Passers and the Apprehension of all types of Shoplifters. I went on to become a Loss Prevention Supervisor for several area department stores, training Loss Prevention Managers for 21 years. My early years with Zayre's made me realize... I didn't want to be a Police Officer any longer. I really enjoyed what I was now doing. I think we can all agree. When your good at what you do, you like what you do. I was arresting Associates, Store Managers, and Assistant Managers for shoplifting. I knew the "regular shoplifters" by name. "Pick out that one in 7 that walks in the door. How good are you?" I was pretty good. I knew when people were acting on impulse, when kids were doing something stupid, ... or when you came in with every intention of filling a cart and running out the door. My family and friends are always telling me I should have been a Lawyer. But that's a lot of night school combined with a lot of daytime work hours. I had my oldest son when I was 20. Being a young Dad also kept me very busy. My second wife and I went on to become State of Maine Foster Parents for 12 years. Several children came and went through our doors. And believe it or not, I did not always agree with the D.H.H.S. Worker on what was best for the children and their parents. Visiting your children for an hour a week in a 12 x 12 room at D.H.H.S. is not the best visitation situation. I could never understand why Deering Oaks Park wasn't an allowed visiting location. Back then, I felt that many parents were just set up to fail. In fact, of the 14 foster children we had through the 12 years as licensed foster parents, only two were ever reunified with one of their parents. As you can imagine, my occasional fight for the children's rights, also brought me some struggles with D.H.H.S. but I also gained some legal experience in those struggles as well... and even won a few. BTW... I am happy to say that situation no longer exists for parents and children. I was very fortunate to find employment at The Opportunity Alliance. They are a non-profit organization that caters to children in Foster Care and helps parents with parental programs, and parental visits. Where Mom and Dad and the kids can make a meal together in the Family Kitchen, or play some games in the playroom, or use the playground outside. I am very proud of this organization I am associated with and what they do for both kids and adults. I have always felt that reunification should always be the goal. So don't they. They give you the tools to succeed in regaining your children, the rest is up to you! I do not suggest I know it all here! Lets be right up front. "Only A Fool Hires Himself For His Own Attorney." I hope to be able to give you the tools to start what needs to be started. To give you the answers to some of your questions. I may know quite a bit, but I will also be relying on information from Law Sites, State of Maine Sites, and all the legal documents I have collected over the years. I'll give you all the information I know, but remember.... Your Attorney Is The One You Should Always Rely On. This Website Is Dedicated To My Family, My Children.... And Their Friends. "I would ask you to please remember, my knowledge is from helping others and doing the work involved to help them with their cases. I am NOT an Attorney. I really enjoy exploring all the angles of any legal situation one finds themselves in. I also enjoy helping those that have been wronged or just have given up. When I help others it fuels my desire to learn more. I hope this website helps you to understand how and where to seek help. How to involve yourself with your Attorney and help them with your case. Hopefully you will learn a thing or two that helps you in your own struggles. To me, some of the laws seems simple. Almost common sense. I always start at the end and work my way back. If you know your "guilty" that's where you start. What is the worst thing that could happen to you? Spending time in jail? Paying a fine? Having to report to a Probation Officer? Go to the end. Once you know what the end result might be, It makes it a bit easier to focus on what needs to be done and what you can live with as far as a plea agreement. I'd like to tell you, if your innocent the court system won't fail you, but that I cannot do. see: Pleading Guilty or Not Guilty. Be prepared to compromise. However, if your truly innocent, I'd suggest finding an Atttorney and taking that challenge to the end." Your Right To Remain Silent - Shut Up! You've Just Been Pulled Over, Now What? Did They Offer To File Your Case? Can C.P.S. Take Your Children? Instructions To Filing P.R.& R.
How To Fill Out Paperwork P.R.& R..